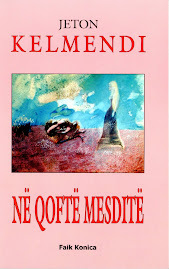 Born in the city of Peja, Kosovo (1978), Jeton Kelmendi completed elementary school in his birth place. Later he continued his studies at the University of Prishtina and received the degree of Bachelor of Arts in Mass communication. He completed his graduate studies at the Free University of Brussels, Belgium, specialising in International and Security Studies. He finished his second master degree in diplomacy and PhD on Security Politics. 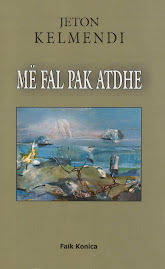 For many years he has written poetry, prose, essays and short stories. He is a regular contributor to many newspapers, in Albania and abroad, writing on many cultural and political topics, especially concerning international affairs. 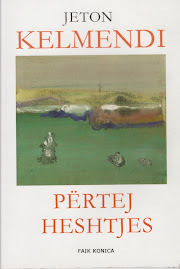 Jeton Kelmendi became well known in Kosova, after the publication of his first book entitled: “The Century of Promises” (“Shekulli i Premtimeve”), published in 1999. Later he published a number of other books. 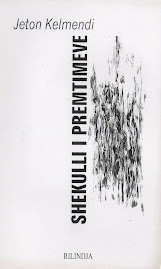 His poems are translated in more that twenty-two languages and published in several international Literature Anthologies. 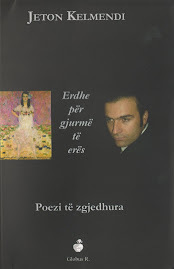 He is the most translated Albanian Poet and well know in Europe. 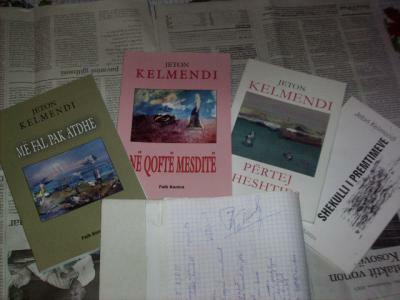 According to a number of literary critics, Kelmendi is the genuine representative of modern Albanian poetry. International critics and poets wrote for him a lot of article, considering him as great European poet. 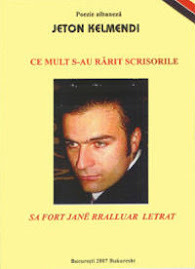 He is a member of many international poetry clubs and is a contributor to many literary and cultural magazines, especially in English, French and Romanian Languages. The wisdom of his work in the field of Literature is based in the attention that he pays to the poetic expression, modern exploration of the text and the depth of the message. His Genre is focused more on love lyrics and elliptical verse intertwined with metaphors and artistic symbolism. Currently resides and works in Brussels, Belgium. - EU mission in Kosova after its independence 2010 USA. - Bad times for the knowledge 2011, Pristina Kosovo. - NATO-EU missions, cooperative or competitive 2012, Tirana Albania. § Doctor Honoris Causa of the Institute of Ukrainian and Caucasian studies at the Ukrainian Academy of Sciences 2012. 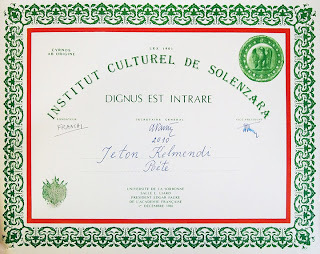 § SOLENZARA Prestigious International Award, Paris, France 2010. § Internationa Prize “Nikolaj Gogol” Ucraine 2013. § National Poetry book prize MITINGU, in Gjakova, Kosovo 2011. 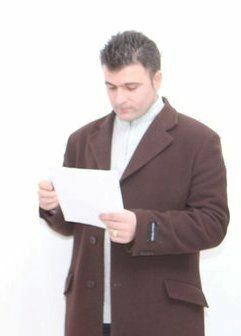 § International Prize “World Poetry” third prize in Sarajevo, Bosnia and Herzegovina 2013. § “Translater of theyear 2013”, in China 2013. § International Prize “Mather Teresa” for humaniy in poetry, Gjakova Kosovo 2014. § International Prize “Ludwig Nobel” of Udmurtian PEN Club, Udmurtu, Russia 2014.